Back when I reviewed GoRite’s dual HDMI lid, I found it to be functional, useful, and “good enough”. I also pointed out its performance was hampered by the limitations of the NUC’s USB 2 connector; you can only squeeze so much video performance out of a USB 2 connection. At the time, GoRite let me know this lid would eventually be usable with newer NUCs that would include a USB 3.0 header on their board. The components used to make the lid, they said, were actually USB 3.0 anyway, and they’d simply had to use a USB 2 cable to attach it to the slower port. The new USB 3.0 header on the coming generation would, they assured me, unleash the full potential of the lid’s video ports. It’s a few months later, and NUCs are now available with a USB 3.0 header. is an example. Intel’s latest commercial NUC, Dawson Canyon, includes USB 3.0, so it seemed a great platform to try the dual HDMI lid out on. The lid I’d tried previously went on a previous generation NUC, meaning it wouldn’t fit on a Dawson. Luckily, Gorite was kind enough to send me a new lid for the newest generation NUCs. Blah, blah, easy installation, blah, blah, goes on in a snap. You’ve heard this part before. Nothing to see here. I had the lid on in a few minutes. Now the USB 3.0 cable does have a larger connector, so you may find it a tad more difficult to feed through the top of the NUC. But it really wasn’t much harder. I’ve gone on before about how much I like the GoRite lid design. I still do. It’s a clean, finished look. Still reminds me of the hood of a muscle car. But if I’m totally honest, I think I’m ready to see something new. After seeing so many lids, the consistency factor has worn off on me, and I’m ready for a new look. Personally, I’ve always wanted a lid that mimics the top of the NUC, so you end up with what looks like a slightly taller NUC. But that’s just me. Also, if we’re nit-picking, I’d like to see the openings around the HDMI ports match the shape of the HDMI connectors. Having a rounded rectangular opening is probably easier for manufacturing, but it also leaves tiny gaps in the corners. I know, I know…picky, picky. I got a couple of these off of ebay a while back. They make connecting and reconnecting to a wall-mounted monitor’s HDMI port a lot easier. No squeezing my hand into the space between the monitor and the peg board, and no need to take it off to connect. The problem is these adapters top out at 1080P. That hasn’t been a problem for me, since my monitors are 1080P. But in the case of the lid, it was a no-go. After removing these adapters from the mix, the lid starting working as it should. As to why the lid doesn’t like a 1080P capable adapter on a 1080P monitor, your guess is as good as mine. Here’s the biggie. I knew going from USB 2.0 to 3.0 would give the lid a performance boost, I just wasn’t sure how much of a boost. 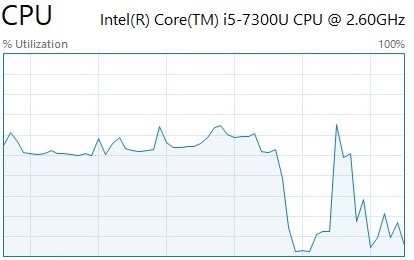 I was also curious to see if the load on the CPU was any different. 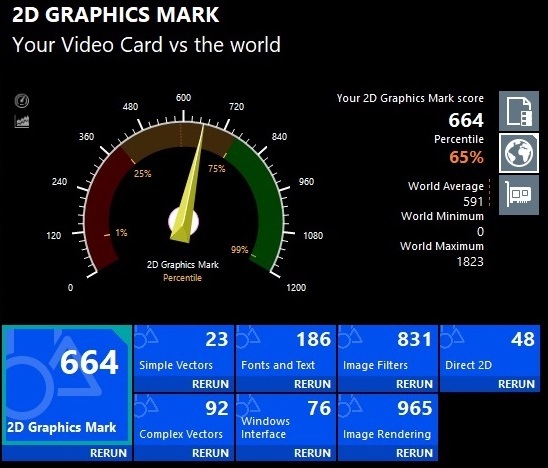 I used Passmark’s benchmark tool to test 2d and 3d graphics on it, and kept an eye on the CPU load. Again, these tests were done with all displays at 1080P. I used my i5 Dawson Canyon, running Windows 10 with all current drivers installed for the on-board graphics and the lid. Notice anything? Yeah, you’re seeing that right; the lid actually out-performed the on-board graphics by a little. The overall score is an underwhelming 65 percentile. I’m not here to rag on Intel’s on-board graphics…AMD they ain’t. Still, I was surprised the lid did as well as Intel’s . Neither one is anything to write home about, but it’s good to see the lid will give you about what you’ve already got. By the way, to test with the lid’s graphics, I booted the NUC with only the lid connected. The NUC booted just fine, but you don’t see your BIOS options or boot screen because the USB drivers need to load first. It’s clear there’s a bit more load on the CPU during the tests, about 15-20% on average. So while the 2d performance is on par or better with the lid, you’re going to pay for it with a hit to the CPU. 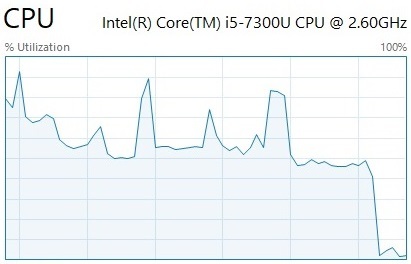 As you can see, the load on the CPU becomes more of an issue with 3d functions. Instead of a 15-20% jump, we’re seeing an average of 30%. 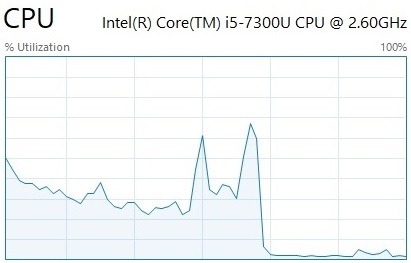 The CPU spiked to 90% more than once too, and that’s with nothing else going on. So while you’ll be ok performance-wise with the lid, you need to think hard about that CPU hit. Working with multiple displays, I didn’t see any noticeable difference between video and images between the on-board ports and the lid’s ports. I was able to freely swap windows around, switch between them, and even span a movie file (i.e. 1/2 of the movie on one monitor, 1/2 on the other) and saw no difference between the two. I didn’t bother with 4k testing, for a couple of reasons. First, I only have the one 4k display (my awesome Roku TV), so side-by-side testing is out. Second, I’m making a safe assumption that the numbers will scale up. That tells me that while running 2d applications on the lid at 4k would probably be just fine, 3d would be poor at best, and unusable at worst. Coupling this lid with a compatible NUC gives you four HDMI ports with roughly the same capabilities at 1080P. Setting up that slick 4-monitor productivity workstation would be a no-brainer. I try to limit myself to two monitors, but that’s only because my desk isn’t big enough for more. Another use would be, in the case of the Dawson Canyon NUC, digital signage. I can see this running video to four displays for retail with no problem. Think a two-screen menu with a screen running ads and another playing video. If your NUC is an i5 or i7, I’d say you’ll be pretty happy with the performance of this lid. And four HDMI ports is enticing when you have the extra real estate for the monitors. In the business world, you now have an easy way to run four displays simultaneously. It’s important to remember that while USB 3.0 does bring the performance up to the level of the on-board graphics, all those bits & bytes getting pumped through the processor means you’re going to take a punch right in the CPU. 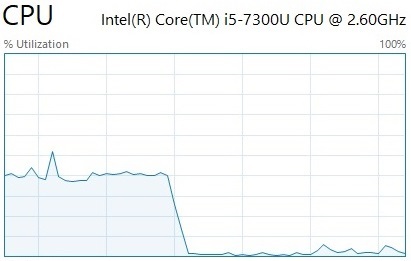 If your CPU can handle it, great. If not…maybe it’s time for an upgrade. Ok, dumb question: Why not expose these connectors in the cutout already available on the back of the Dawson Canyon chassis? I agree; I do not like the shape of these lids. A squared one that evenly raises the height of the whole chassis sounds better to me. Agreed. I was recently thinking how awesome it would be if they could combine a bracket for the cutout and a lid.